Fabric used for seamed, structured carriers like SSCs and Meh Dais should have no stretch in any direction, besides maybe a little diagonal give. Stretchy Wraps like a Moby wrap or a K'tan-style dual pouch carrier that always have three supporting passes over baby's back and are only used for front carries can stretch in all four directions. For most wraps and ring slings, you want no stretch, but a little from selvedge-to-selvedge is okay. 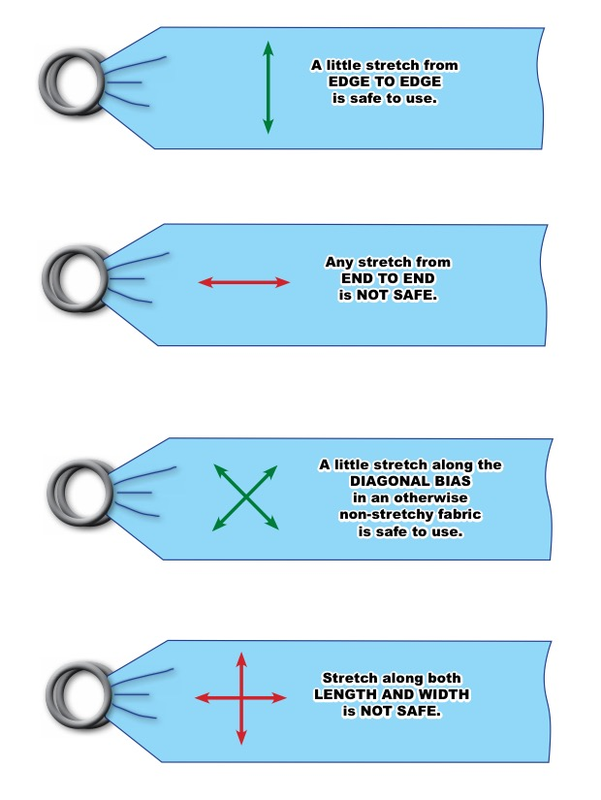 This most specifically applies when choosing mesh for a water ring sling.